Reading some recent internet articles, there seems to be some misconception of what today’s MAIN STREAM self-publishing really is and the market available for such endeavors. One is via paper books in physical stores and the other is via eBooks/ internet paper book distributors. You will only find trad-published books in bookstores. Yes, there is the odd exception, usually for a local author, but bookstores are the domain of trad-publishers. Editorial quality aside, the books have been printed in bulk, with techniques to produce covers that are not available as Print on Demand covers for the self-publishers. Self-published books are, however, available through some bookstores via say Create Space or Lightning Source through extended distribution. Extended distribution is merely a virtual list on the internet for the store managers, or through their internet bookstore. A customer would have to order the book from such stores, as they do not have them on their shelves. These books are available through these stores are as Print on Demand. There are many reasons why a bookstore would not stock self-published books. Besides the perceived lack of edited content and generally poor crafting, there are many other reasons. 1, Traditional publishers supply books on consignment and the books that don’t sell don’t have to be paid for, with the bookstores returning unsold books without financial penalty. 2, The production methods for covers with Print on Demand, result in them curling and therefore they would soon look tired on the shelves. The reason for this is that paper absorbs moisture. POD books are laminated on the outer cover. They have to be, because the print method is not much different to your printer at home. The colors would run if they were exposed to moisture. Effectively this blocks out moisture on the outside completely, but the paper side does absorb moisture. So they curl excessively. 3, The cost of printing in bulk results in a unit price substantially below that of individual books printed via POD. To give the distributor, the author and the shop the required return, self-published books are too expensive. For the self-published, POD results in a retail prices far in excess of trad-published books, printed in the time honored way. This situation gives little scope in the margins for reducing prices to boost sales. In effect, already disadvantaged as a new author, the books are always around or above the retail price of a newly trad-published book, from possibly a named author with a brand. So that’s it for bookstores in simple terms. If you don’t like self-published books, then you are safe buying in a bookstore and you shouldn’t have any axe to grind. I would add, that if a previously successful self-published eBook were to be picked up by a publisher and they produced a printed book for bookstores, then that book is no longer considered self-published. As an example, I would cite 50 shades, whatever you think of it. To look at self-publishing, there is what was, and then there is what is. Unfortunately, it is an uphill battle to convince some that self-publishing is not stuck it the “what was” mode. It has progressed. Pre-Amazon days, eBooks and POD, there was the scam Vanity publisher. Their sole intent was to charge an author to edit, design a cover and to produce a bulk run of their book in print format. All the author would be left with was an empty wallet and a garage full of books that no one would buy. Thankfully, because of the introduction of eBooks and POD, there are not many of these left, if at all. To get eBooks off the ground and to sell kindles, Amazon needed content. Trad-publishers were reluctant to have their books as eBooks and only then if they matched the prices of their print books. Enter the self-published as a sought after commodity by Amazon. Because the trad-publishers wouldn’t play ball, Amazon needed a catalogue of cheap books for them to market kindles to the public as having a payback for the investment in the device. But where to find them? Frustrated by rejection of their work, Amazon saw an almost ready-made supply, courting the untapped slush pile and soon the floodgates opened. All this escalated by Amazon having no entry requirements (gatekeepers) and it could cost the author nothing. The rest is history for the growth of eBooks. 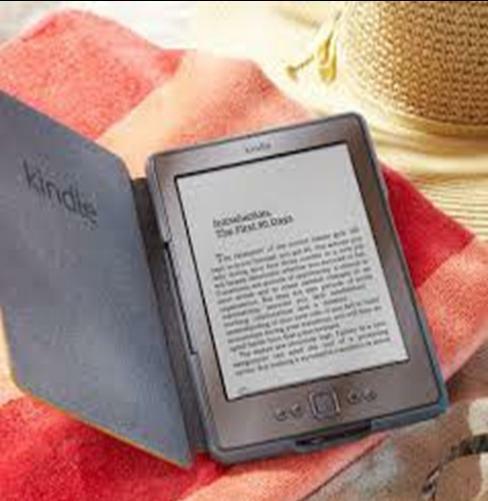 One thing is for sure, that without the cheaper self-published eBooks, kindles would have been a luxury buy and growth of kindle sales and the other tablets that followed would have been slower, or the products ditched. So some credit there for the self-published. As a fledgling industry, it was like the blind leading the blind. Books were rushed to publish, with little done in the way of cover design or editing. They came in their millions as if the great slush pile in the sky had broken wind. Prices were driven down with a few making substantial profits. Scammers arrived on the gravy train, publishing “How to”, or “Get rich quick” books by taking the content from the public domain. Basically, it all got out of hand. Readers soon realized that even at 99c most of the books were not worth the effort. From this wild-west scenario… something happened. 1, The bad books sunk without trace. Yes, they may be still there… somewhere. But basically they are hard to find. 2, The majority didn’t make a profit, in what had become a highly competitive market and didn’t have what it takes to learn and persevere… they walked away. 3, Many of those left, started to realize what it took to be in with a chance of success. They have their books edited and have covers designed. They had learned the business. They knew how much it would cost to put out a reasonable quality product and set budgets. They knew exactly how many books they had to sell to make a profit. They also learned the minimum amount of marketing required to achieve results… what works and what doesn’t. Many publish as an eBook and as a POD, not expecting to sell paper books, but to show the saving on their eBook and to boost sales of the eBook as a bargain. 4, Amazon started to close down the “How to” brigade. They put into place methods to find and remove scam reviews. Customer service took note of customer complaints regarding poor formatting or editing and they now think nothing of removing or locking a book until it is put right. 6, Regular customers know they just can’t click on a cheap book and expect a value for money read. They have to sample to be sure. In any event, they have the review system to vent their wrath if it’s not to their standards, or customer service complaints, and 7 days in which to get a refund. So there we have it. That’s the current state of play. EBooks are where it is at for the self-published. Crap will still be uploaded by those unaware of what’s needed, but they will be found wanting. Saying that, there is now plenty of advice scattered around the internet for those that want to find the information and that wasn’t around in the scary days. Those who are serious about the business will continue to build a body of work and some will prosper… some won’t. But their fate is in their own hands and those of the readers. Those serious still may not come up to the exacting standards of the trad-published, but they are getting closer, yet still cheaper. Obviously the millions who buy these books love the savings, as they keep buying to the extent that 25% of Amazon’s top 100 ranked eBooks are from the self-published. As it stands now, a top trad-published author will make more money than a top self-published author will, because their potential market is much larger and nothing to do with the comparable quality. This is a great post, Declan – thank you. I’m having the other half read it so that he can understand the differences between self-pubbing and traditional. You are always a great go-tresource for advice, and once again you’ve laid it out simply and concisely. Thank you for the information you have provided in this article. It is a fine overview of the history of what has taken place in the self-publishing marketplace. I was completely innocent of the entire process and I really appreciate the insight you have given to what drives the self-publishing game. While my novel may not be as top of the line as those others who have been professionally orchestrated, I feel happy with the content and the cover as a book I would enjoy reading myself. This is important to me to fulfill the procedure for the first time and feel satisfied to have accomplished the requirements of the end game. I took this route never expecting to make money. All I wanted was to hold that finished book in my hands and read it through one more time as I had always envisioned it.